On closer inspection of the Lindisfarne Gospels, one can discern that, between the lines of the Latin text, someone inserted English translations for all Latin words. Paleographers estimate that these translations were added some time in the ninth century. Evidently, someone at that time was no longer able to read Latin without some serious help. What had happened? The flourishing center of learning that Lindisfarne once was had been attacked in 793 by the Vikings, the first of a series of such attacks. In the following century, not only were monasteries in Northumbria left in shambles; on the continent, repeated attacks on the monastery of Tours eventually shut down this flourishing center of Bible production. Tours had risen to prominence in the ninth century, when a revival in the study of classical arts and Christianity was supported by Charlemagne and his successors. This revival is sometimes dubbed the “Carolingian renaissance.” Today, the Codex Amiatinus, a Latin bible written in Northumbria in the seventh century, and the bibles copied at Tours in the ninth century are acknowledged by biblical scholars as crucial witnesses to the history of the Bible in the transition from Antiquity of the Middle Ages. 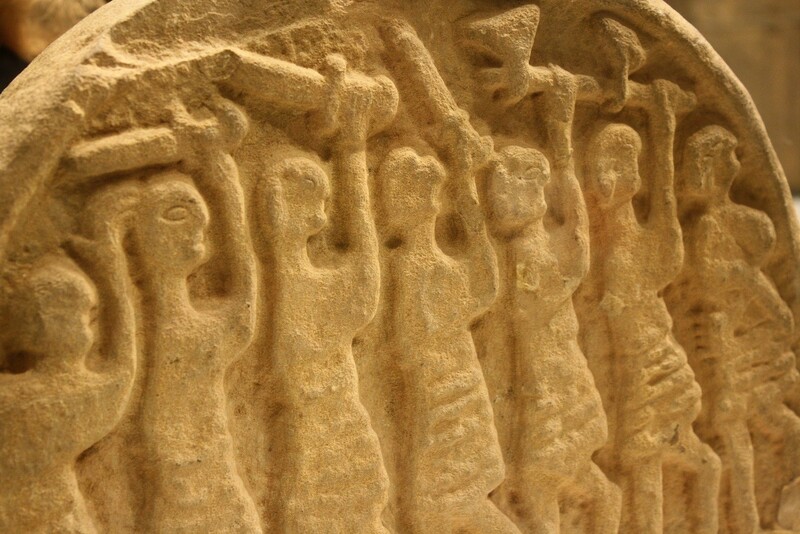 Lindisfarne and Tours are two places that show us that the flourishing of Christian culture is intrinsically connected to the study of the Latin language and the classics. There is a historical reason for this. Of course, when Christianity first spread, it did so in the political context of the Roman Empire, whose main two languages were Latin and Greek. The language of the first Christians was Greek, and their scriptures were in Greek, too. Before too long, Christianity spread to the Western Roman Empire, where Latin was the lingua franca. Even after the collapse of the Roman Empire, Greek and Latin remained the two main languages in which faith and learning were preserved for and transmitted to later generations. At the same time, the use of Greek and Latin as the language of faith has led Christians to keep in touch with the classical heritage, and, where the circumstances were favorable (and they were so in seventh-century Northumbria and ninth-century France chiefly because they could count on strong political and financial support from the local rulers), the study of the two combined inspired periods of intellectual and educational renewal. The most significant of these happened in the sixteenth century, when not only the study of Latin underwent a significant revival in Western Europe, but also the Greek language was rediscovered. This in turn inspired one of the greatest revivals within the Christian tradition, the Protestant Reformation. The study of Latin and Greek and the study of the classics, then, stand at the root of intellectual life in the Christian tradition. Today, this study is not endangered by marauding Vikings, but by neglect. It is a cause of great concern for me to see the knowledge of and interest in the classical heritage slowly erode. It is especially painful to see this erosion at Calvin and within the Christian Reformed Church, which more than other Protestant denominations in America has a tradition of robust intellectual engagement. The recommendation of the prioritization committee at Calvin College to effectively eviscerate the Classics Department at Calvin may seem a random act of vandalism to some. It is not. Rather, it is a difficult and painful decision that follows a decade of declining student interest in classical languages at the college and a general faltering of commitment on the part of the Christians to cherish their intellectual roots. If Calvin decides to do away with its two classical language majors, it will be one more step in this slow process of erosion. When you leave a weak educational structure, the risk is that that what is remaining will simply collapse. And we stand to lose more here than just an educational opportunity for a small number of majors. Latin and Greek stand at the root of the study of the liberal arts, and their loss at Calvin has a strong symbolic meaning. It is not my intention here to play a blame game. I deplore, but also understand the recommendation of the prioritization committee. The main question is: What are we going to do about it? The Vikings did not intend to shut down Lindisfarne or Tours as centers of intellectual renewal. They were simply out for plunder. We are not vandals or barbarians. But doing what is financially prudent can lead to the same result. Rather than deploring the decline of these centers in the past, or accepting the loss of Latin and Greek majors at Calvin in the present, we should instead look at what made Tours and Lindisfarne flourish in the first place and learn from this. I challenge the administration of the college and donors to Calvin to follow in the footsteps of Charlemagne and Oswald of Northumbria, and support the Classics, rather than let the erosion continue. Ninth-century prayer; origin probably apocryphal. For a translation, please refer to members of Calvin’s Classics Department. E.g. Carol L. Neuman de Vegvar, The Northumbrian Renaissance, Silinsgrove, N.J.: Susquehanna University Press, 1987. Timothy Michael Law, When God Spoke Greek: The Septuagint and the Making of the Christian Bible, Oxford: Oxford University Press, 2013. I note here that the word “vandalism” was coined first in the French Revolution to describe the attacks on the ecclesiastical patrimony; this process was thought to be akin to the destruction of the Roman (Latin) heritage by the fifth-century Germanic conquerors of Rome, Vandals chief among them. The Anglo-Saxon king who supported the founding of Lindisfarne. As with all Historical Horizons posts, the views expressed are those of the author and not necessarily those of the history department or the college. Frans van Liere is Professor of History and director of the Medieval Studies program at Calvin. He teaches world history, medieval history, and history of the book. He grew up in the Netherlands and studied theology and medieval studies at the University of Groningen. His research interests are medieval biblical exegesis, twelfth-century intellectual history, and the late medieval papacy. He lives in Grand Rapids, MI with his wife, two teenage sons, and a cat named Lancelot. This entry was posted in Frans van Liere and tagged barbarism, classical studies, Greek, history, Latin, Lindisfarne, Tours, Vikings. Bookmark the permalink. Gratias tibi, amice, verbis pro versutis ago. Econtrario, ego gratias tibi age, amice! Quaestio autem remanet an prosit tibi et aliis in divisione linguarum classicarum. Speramus ut appareat deus ex machina!